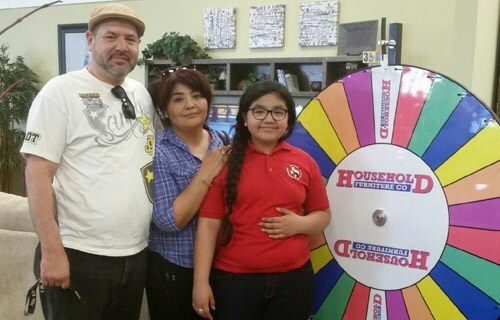 At Household Furniture you can Spin to Win your purchase! The Price is Always Right - everyone who makes a purchase get’s to Spin the Wheel! Land on the Household Furniture logo twice, and you get your purchase free. So come on down where you always get the best deal!